The success of any direct marketing campaign starts with the data, and Meridian Leads offers top quality data for telemarketing , direct mail and email programs. Direct Mail is the workhorse of financial services marketing and Meridian Leads offers customized postcards, tri-fold mailers, promo checks or any other type of mail piece you would like to send. Leverage our call center expertise to generate exclusive pre-qualified leads for your sales team. Digital Advertising-Meridian Leads can help you connect with new customers through SEO, Social Media Marketing and Email Marketing campaigns. Meridian Leads provides custom data solutions, turn-key direct mail campaigns and live transfer telemarketing leads. Our marketing strategies enable our clients to maximize their exposure and customer acquisition strategies. Our forte is providing customized targeted marketing solutions for small business lenders, merchant cash advance providers, mortgage lenders and other financial services industries. Our ideal client requires a consistent high-quality lead flow to generate more sales. Our experience enables us to provide insight and expertise to ensure that your campaign is successful and delivers profitable results. Let Meridian connect you with merchants that need funding now. We have targeted data solutions to help you close more loans. We help small business lenders target UCC filings , business owners email and cell phone. We provide data and lead programs for many financial service industries. We provide lists of active traders, high net worth individuals and other lucrative Wall St niches. We help target life events and other key moments that are ideal for financial planners. Specializing in data and digital solutions for Real Estate Investors for home buyers. We can connect you to consumers looking for insurance quotes. Meridian Leads has been an invaluable partner in our client acquisition programs. We have purchased data and live transfer leads for many years and Meridian has always been a reliable partner. 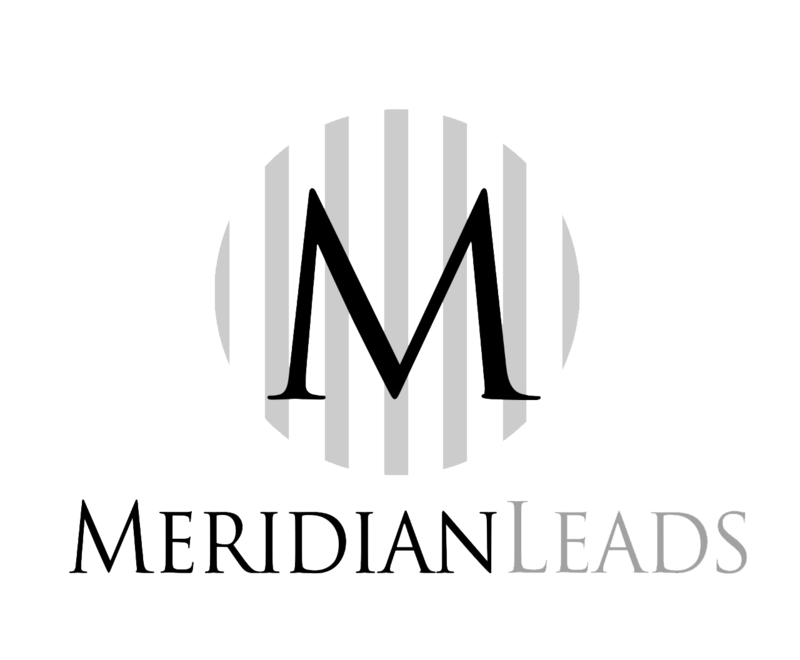 We have relied on Meridian Leads for many years to provide targeted lists for our mortgage business. Their quality and service is second to none. We were able to get a live transfer lead program set up and running within a few days and get a pipeline of deals going within a couple of weeks. Connect with one of our marketing representatives today. Meridian Leads provides custom data solutions, turn-key direct mail campaigns and live transfer telemarketing leads. Our marketing strategies enable our clients to maximize their exposure and customer acquisition strategies.